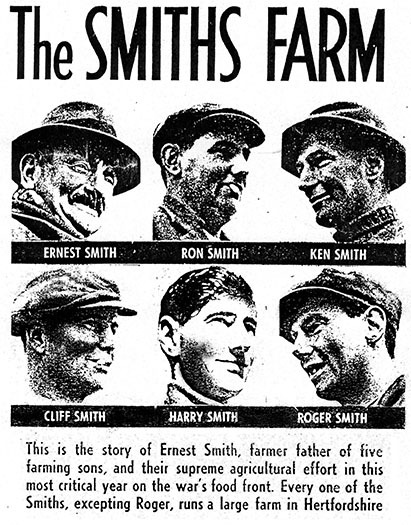 The Foxholes family farming partnership began just after the Second World War, started by Catherine’s grandfather, Alfred Ronald Smith, then followed by his sons and now, along with Catherine’s father and cousin, they continue to farm in excess of 1,000 acres of arable land near Ware, Hertfordshire, growing crops for bread, oil, animal feed and bedding. Over 14 years ago Catherine began selling her own home-produced beef from her farmhouse pantry. Demand for her produce became so great, that her new, purpose-built farm shop and butchery soon followed – now employing many local, trained, dedicated and friendly staff. Catherine rears her own rare-breed pigs alongside the beef, and also complements her own meats with lamb, chicken and game from local producers. Catherine cures and cooks all her own gammons, hams and bacon in the farm shop kitchen, alongside baking homemade meat pies and pastries. With a wide selection of British cheeses and a shop brimming with fabulous treats for you to try. Visit us soon and enjoy a freshly brewed coffee whilst the children explore the Animal Barn and enclosed play area.